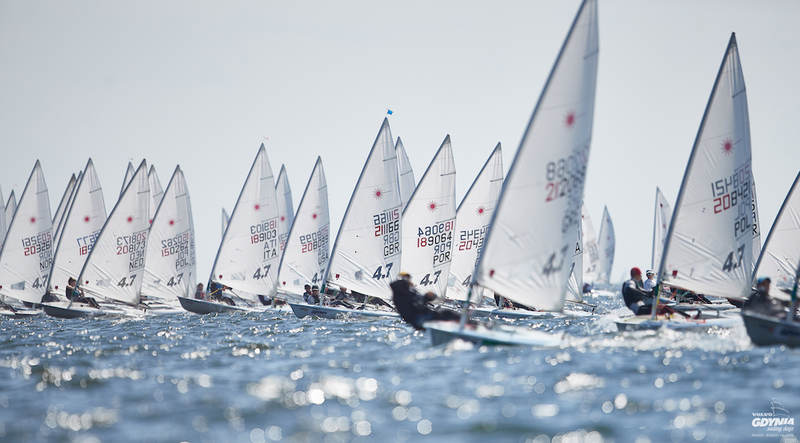 For the start of finals competition, 155 girls split into two fleets (gold and silver), while the 275 boys competing were divided into four fleets (gold, silver, bronze and emerald). Under mostly clear skies, sailors made their way out to their respective course areas to go through their pre-start routines. Although the wind started off a bit light, it began to freshen up a bit as it shifted to the right, settling in from the Northwest at about 10 – 13 knots. Add in a few waves and you have the makings for terrific sailing conditions. Yesterday, it was the boys blue fleet that had some difficulties getting their second race under way. Today it was the girls silver fleet. In the first race, 12 of the sailors were on the wrong side of the starting line for a disqualification. In their second race, it was even more extreme. Whether it was lack of awareness or plain disregard concerning their position relative to the start line, almost a quarter of the fleet was over the line with a good 20 seconds to go before the start signal. After a lengthy delay to sort out and publish all the sail numbers of those who were over early, another four sailors were disqualified in their next attempt to start. 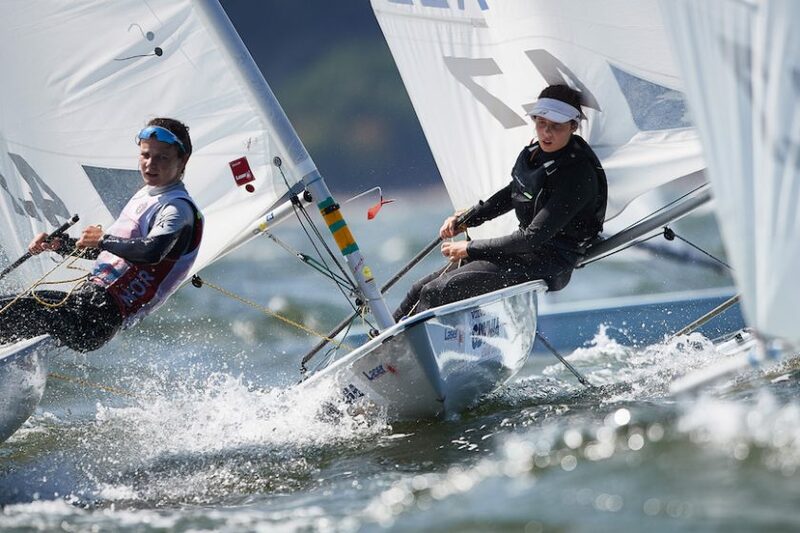 One sailor who has been up for the challenge is Chiara Benini Floriani (Italy) who won both gold fleet races in the girls division today to stake an 18 point lead over fellow Italian sailor Giorgia Cingolani, who moved up to second. 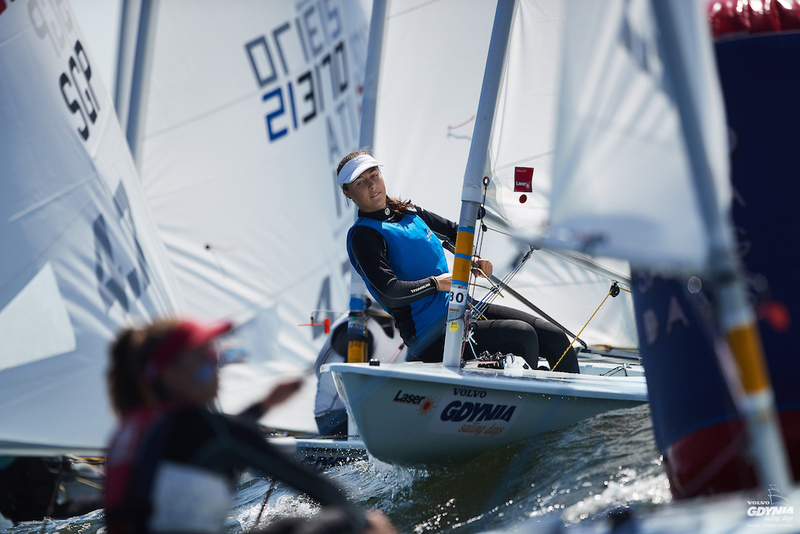 Although she had her lowest finish of the Championship so far in the first race, that score has been discarded and a second place finish in the final race puts Giorgia one point in front of Simone Chen from Singapore. 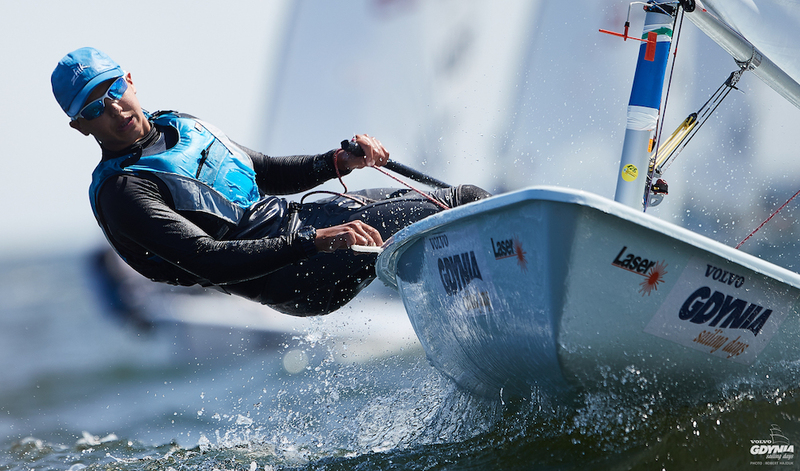 On the boys side, Wonn Kye Lee (Singapore) was disqualified in the second race of the day, but finished sixth in the first race to hold a small lead over Turkish sailor Doruk Demircan, who won the day’s second race, moving just ahead of Michael Compton (Australia) in the overall standings. 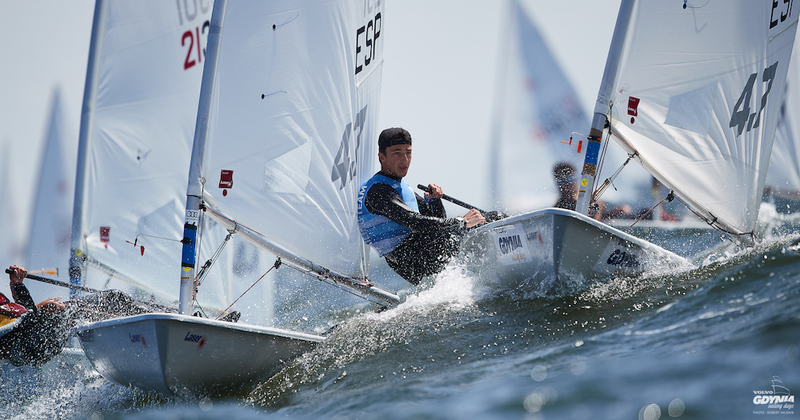 Stefano Viale from Peru won the first race of the day in the boys Gold fleet, moving him up to fourth place in the Championship. 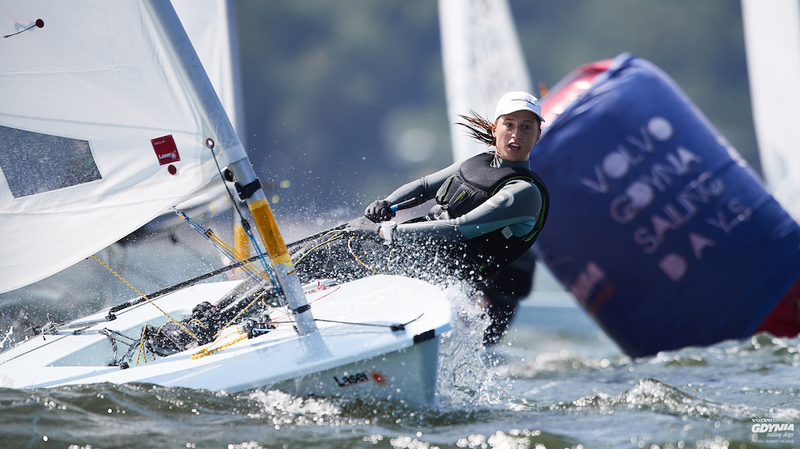 Most of the sailors in the front of the gold fleet, in both girls and boys division, have already had difficult race, finishing well back from the front. So, there isn’t much room for error with only one discard. Maintaining consistency and avoiding a bad race over the next two days is going to be the key to earning a Championship here.